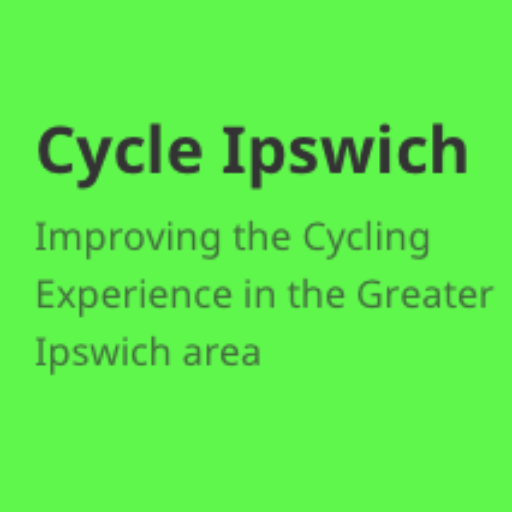 The next Cycle Ipswich meeting will be on Thursday 12th January 2014 at 7:30pm at the ITO World offices, 2nd Floor, 25 Lower Brook Street, Ipswich, IP4 1AQ. You can store bikes inside at the bottom of the stairs, keeping the fire exit clear. This month Andrea McMillan, Senior Planner at Ipswich Borough Council will be presenting about the upcoming Cycle Strategy Supplementary Planning Document (SPD) for Ipswich, including the process and how we can help shape the document. There will be a further meeting with the council in the future discussing this item specifically. If there is anything that you would like to add to or change on the agenda, please get in touch on our mailing list or by emailing info@cycleipswich.org.uk.